Homeowners willing to buy a sophisticated home in Bangalore can choose from a wide range of options. Well, if you are seeking a good mix of luxury and sophistication, you can get a home in DNR Reflection. The residential complex has been developed in recent years in Bangalore, and the residents from various parts of the country are interested in buying these homes. The location advantage of the residential complex is the key reason behind the high demand for apartments in the estate. You can go for 4 BHK apartments in the residential complex. The prices of these apartments range between INR 1.29 crores to INR 2.28 crores. The estate has been developed over 3.5 acres of land. It brings 179 units to the residents, which have been elegantly designed. You will enjoy a wide range of amenities in the complex. The prices of these apartments are on the rise. If you are willing to get a quality home in the estate, this is the right time to make the investment. DNR Reflection Bangalore has 2 basement floors for parking. The 12-storeyed structure brings elegant homes to the residents. The apartments are spacious and you will enjoy the elegant furnishings in the apartments. People with a fascination for green living facilities will enjoy these homes. The complex has an extensive green cover and you can enjoy your time in the walkways in the landscaped gardens. The residents can also spend their time in the public spaces in the complex. The architectural splendour of the structure is mesmerizing. The transportation system in Bangalore is well-developed. The residents in DNR Reflection Bellandur can get a seamless approach to the important places in the city. 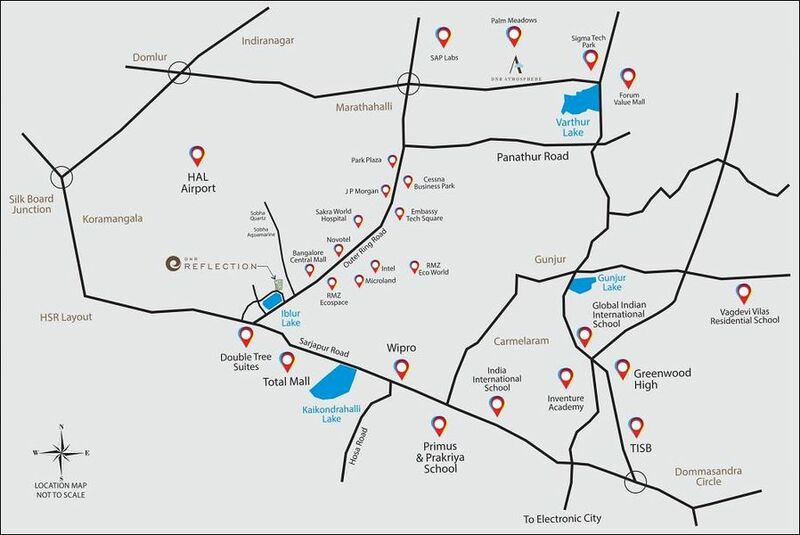 The important commercial zones in Bangalore are located close to the estate. You can easily navigate through the city. 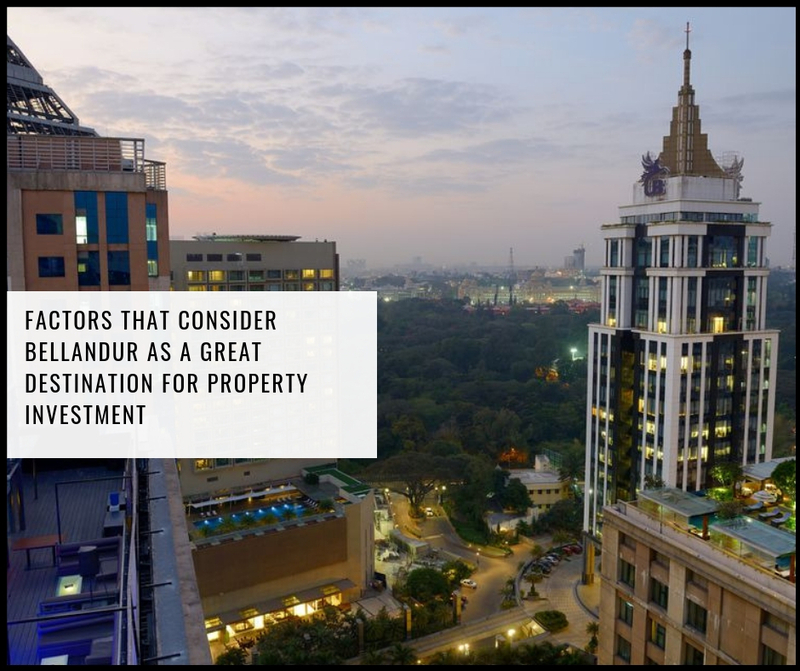 The IT capital of the country brings tremendous opportunities to the residents. Several blue-chip companies are coming up in Bangalore. The MNCs are also expanding to the city. The residents will enjoy fast access to the important places of entertainment in Bangalore. A number of shopping malls, multiplexes, restaurants and bars are located close to the estate. The educational and healthcare infrastructures in the city are also well-developed. The important schools in the area include St. Peter's School, The International School, Inventure Academy, Silver Oaks International School, The Bangalore school, and St. Joseph's Boys High School. The dense network of roadways in the area ensures a fast reach to these places. The residential complex comes with a wide range of amenities for the residents. These include swimming pool, gym, various indoor and outdoor games, and so on. Health enthusiasts and fitness freaks will enjoy a good time in the complex. The residents can enjoy a good time in the clubhouse in the complex. Children can play in the dedicated play areas. The DNR Reflection price is likely to increase in the coming years. 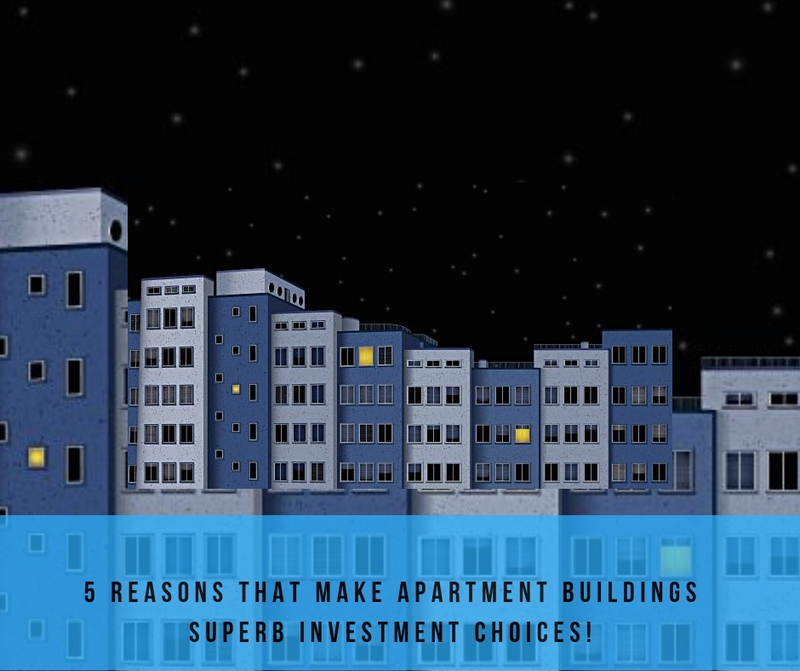 For investors and homeowners willing to buy these apartments, this is the right time to invest. Get a quality home in Bangalore, with all the luxury amenities you crave for. The Prestigious Builders DNR Group, serving comfortability and convenience! Anything said about in praise About DNR would not enough to represent their glory. The prestigious group has always delivered perfection and transparency in each of their projects. They have loaded miracles in the form of luxury resources and comforts in their development due to which residents living there are reviewing great about their lifestyles. 3 & 4 BHK Condominiums with 270 Views.